If you’re a teacher who likes to do classroom “cooking” related to what your students are reading or a parent who likes to cook with your littles, here’s a book to add to your list. 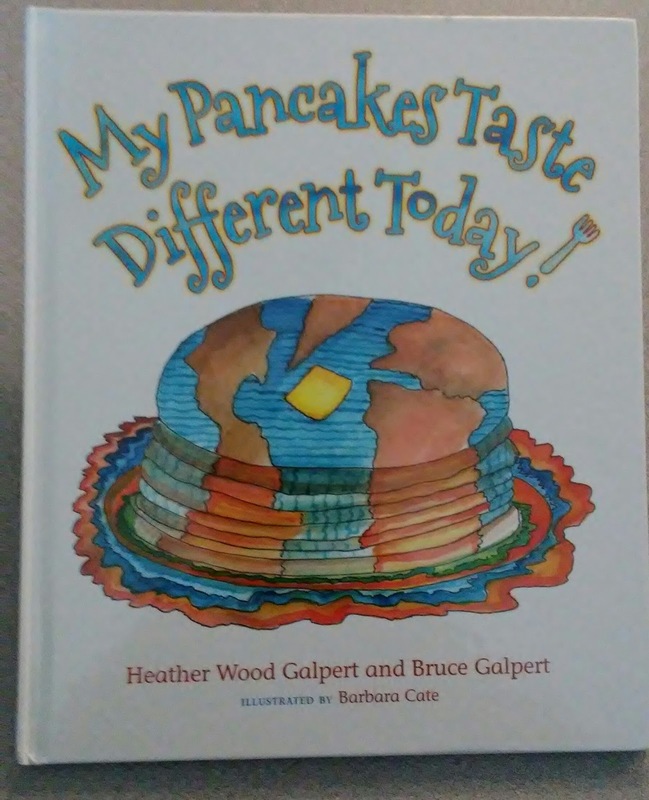 It’s written by married couple, Heather and Bruce Galpert, and is illustrated by Barbara Cate. Ethan learns the pancakes he loves to eat are a result of many factors, from rain clouds to wheat farmers to grocery stores. 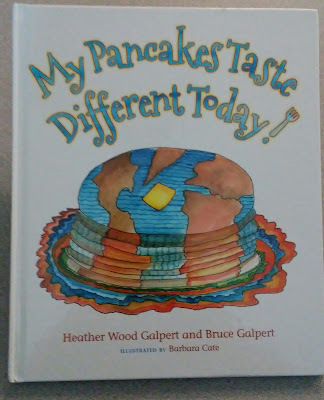 He also learns that his careless action, meant all in fun, set off a chain reaction of events that negatively impacted even his beloved pancakes. Fortunately, Ethan conceives and executes a plan to remedy the problem. The colorful watercolor illustrations have a childlike quality that support the story well. At the end of the book there is recipe that can lead to a tasty follow-up of the story. This book would be a really good one to keep in mind for Earth Day. Far away from Planet Earth is the enchanted world of Planet Planted. Its inhabitants include the Rootlets, Kaley, Cornelius, Brocc, Carrotina, and their Yammy Grammy. These amazing kids not only sprouted from the ground, but they have super powers as well. It's a good thing they do! They need them to solve the mystery at Plantasy Land. It's opening day at Mr. Fungo Fungi's magical amusement park, but something is very wrong. Is the magician, The Great Zucchini, responsible for the disasters all around Plantasy Land? The Rootlets are determined to solve the mystery. Author, Vicki Marquez, is a certified plant-based chef, a health coach, and host of the healthy living cable show, "Nourished." 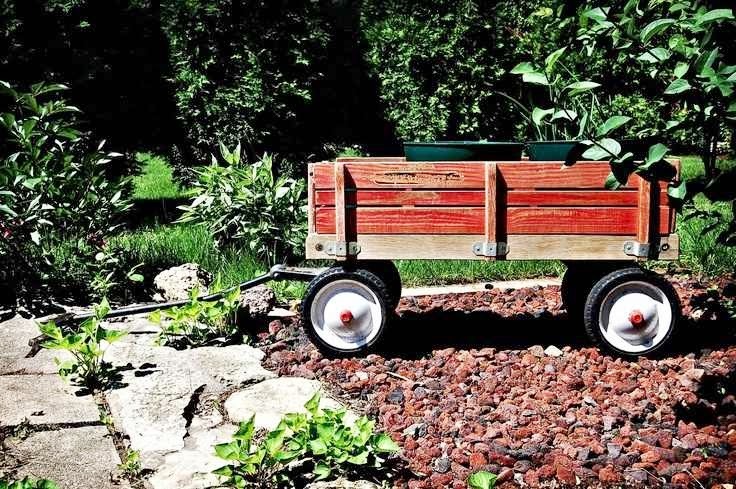 Her passion of teaching about a healthy lifestyle and her desire to expand her health education efforts to children lead her to the creation of the Rootlets series. 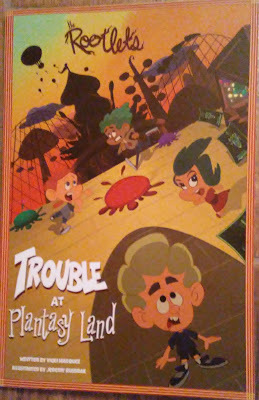 Trouble at Plantasy Land is the second book in her Rootlets series. Jeremy Russnak's colorful and creative illustrations add to the enjoyment your mystery-loving primary readers will experience with Trouble at Plantasy Land.